You have to ask yourself how much you’re willing to pay for a battery pack that looks nice. Moshi designs some of the best-looking phone accessories on the market. One look at the Moshi Porto Q 5K Battery Pack ($85 on Amazon), and you can tell the company takes pride in its overall approach to product aesthetics. The Porto Q 5K is covered in a cloth material. A complementary rubber ring found on top of the power bank holds your smartphone in place when the wireless charging feature is in use. This prevents notifications and general vibrations from nudging the phone off the pack and onto the floor. The Porto Q 5K sports two ports: a USB-A port to charge another device, and a USB-C port that’s used solely to charge the battery pack itself. The USB-A port is capable of up to 12W charging speeds, but falls short of triggering rapid charging on a Pixel 3 XL or a Samsung Galaxy S9. 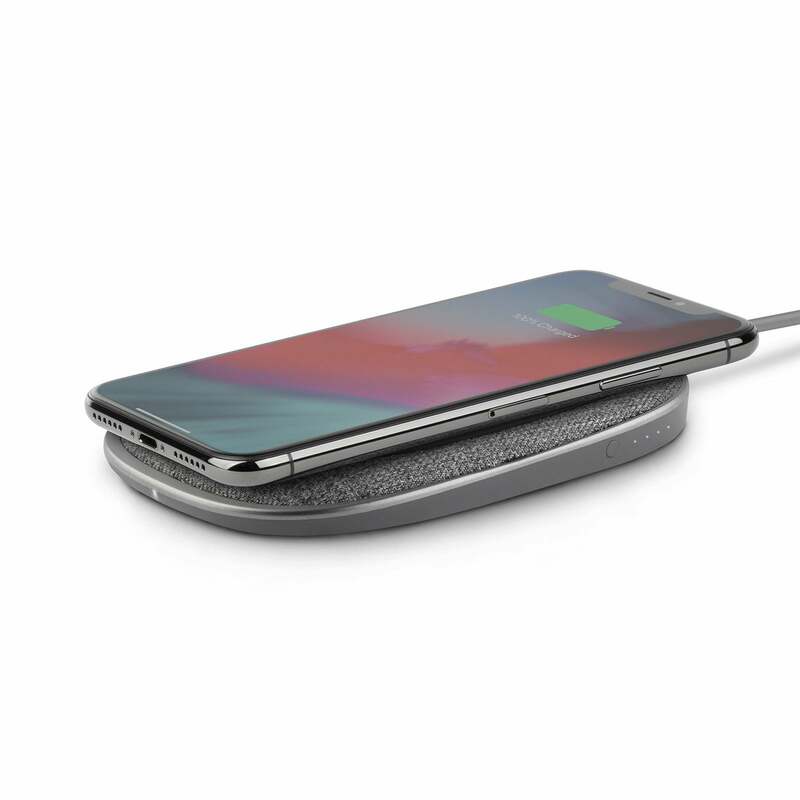 In addition to charging devices through its single USB-A port, the Porto Q 5K offers wireless charging for phones that support it. In testing, the battery pack had a 75.15 percent efficiency, which is near the bottom of all the battery packs I’ve tested. The average efficiency of packs I’ve tested thus far—and there are many—is 85.47 percent. In total, the 5,000 milliamp-hour (19Wh) battery pack took three hours to fully charge using Samsung’s standard wall adapter and the USB-C cable that came with the Porto pack. One nifty trick of the Porto Q 5K is its ability to act as a wireless charging pad while the battery pack itself is charging. 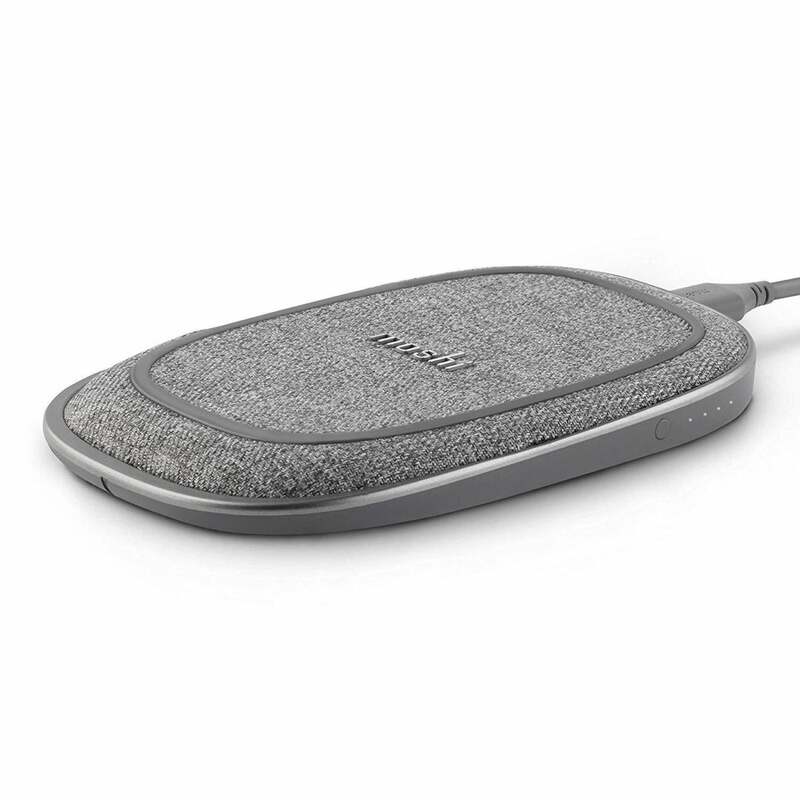 Meaning, if you plug in the battery pack to top it off, you can place a Qi-compatible device on top of the pack and the wireless charging pad will turn on, and charge your device while the pack fills up. I couldn’t find any specs for the wireless charging speed on Moshi’s website, the Amazon listing, or in the product pamphlet included in the box. However, I believe it’s 5W. The pack wirelessly charged an iPhone XS from 0 to 31 percent over an hour and charged a Galaxy S9 up to 73 percent before it eventually ran out of power. In other words, don’t expect to quickly top up any of your devices through wireless or wired charging with the Porto Q 5K.